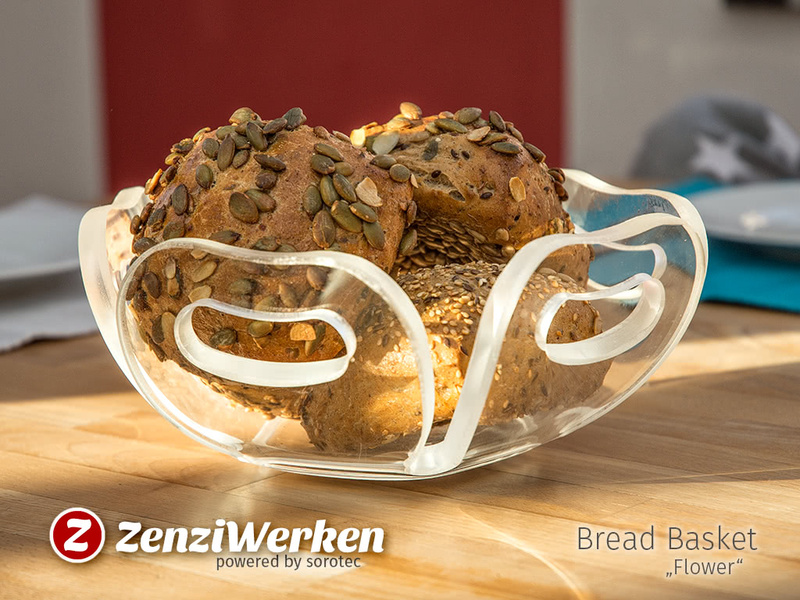 ZenziWerken | Bread Basket "Flower"
This basket is rather a bowl and the design is based on the principle of heat forming of plexiglass. I did use this feature at a few different designs like the "Waveguide" Bedside Reading Lamp or the Toilet Roll Holder „Clear and Clean“. You just put the part into the oven and heat it to 170 °C. The duration is dependent on the thickness. My estimate is 1 minute per 1 mm material thickness. 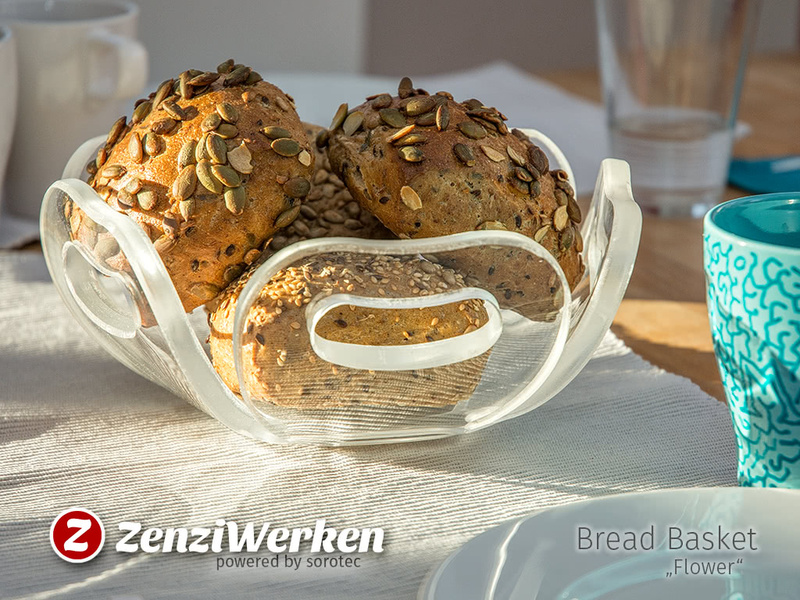 Keep in mind that the whole 'sheet' will become soft, so sharp bends are better achieved if you use a heat gun. 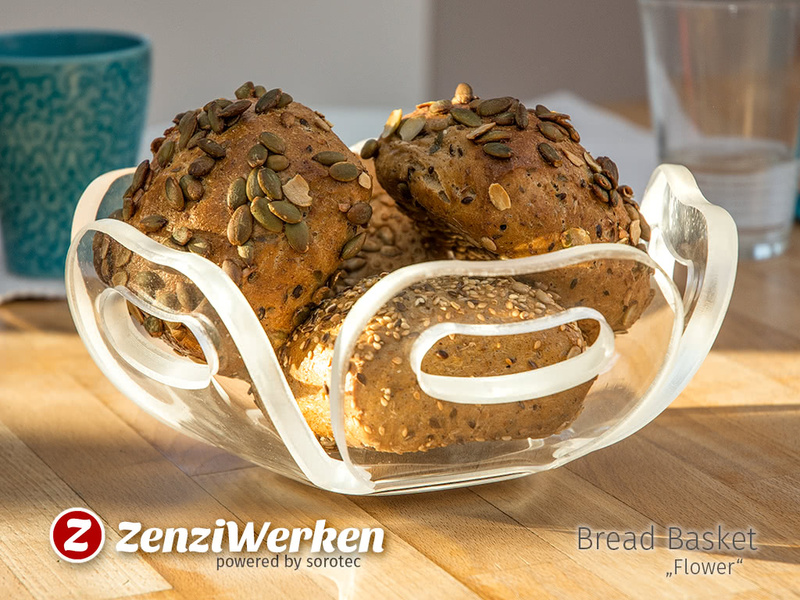 In the case of this bread basket, with it's bend petals, it is the desired effect and I saved my hands from getting burns using oven gloves. I did add a grove in the base to make it easier to get a flat spot. Cutting the plexiglass is not that easy. You got to have a rigid cnc-machine that makes it possible to achieve speeds of more than 3 meters per minute. The cutting depth has to be really shallow, like .5 mm. Otherwise the material will melt and clog the cutter. Use a single flute end mill. Mine had a diameter of 4 mm to make cuts with the required depth. When using a dust collector – which is generally a good idea as the chips are rather messy – make sure to have grounded all the parts of the machine. Static discharge might be the result if not, which can be a problem for the machine. 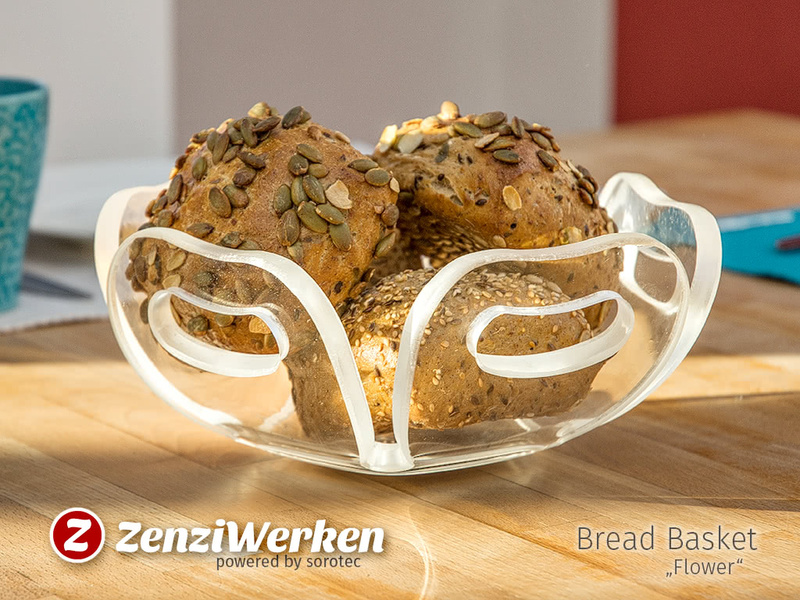 Be aware that no stl will be available for this design as is based on a flat design intended to be bent. 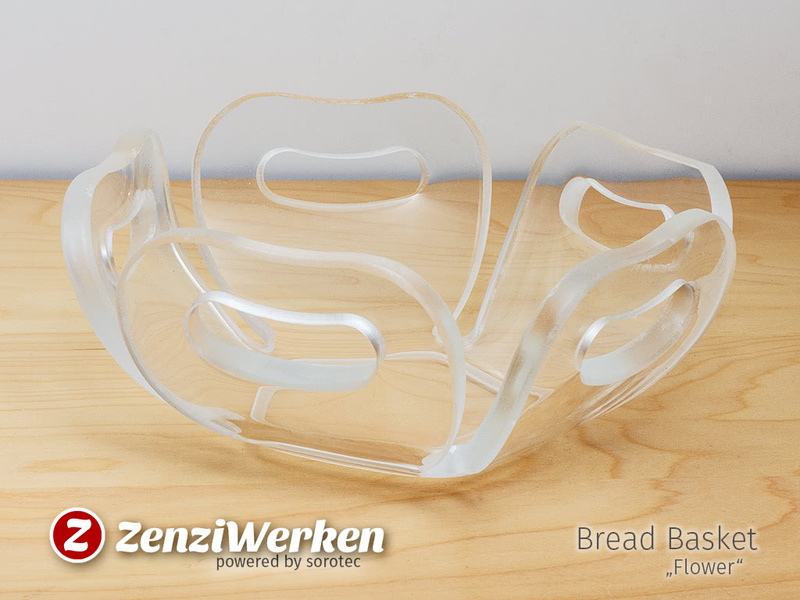 You might use a nifty laser cutter to make this design. You just have to come up with an idea how to make a grove in the bottom.